One of the easiest ways to connect your friends, family or fans is through an event. And on Facebook, it’s simple to create an event, send invites and keep the conversation going. With all the noise on social, you need to make sure your Facebook event photo stands out and is memorable to invitees. If your Facebook event photo size is incorrect, missing or just plain boring, you could end up with no attendants. When you don’t put the effort into making something look professional, such as a Facebook Event, who says people will take you seriously? That’s why we’re here to help you add an image to your event, choose the right image and correctly size it to fit Facebook’s dimensions. 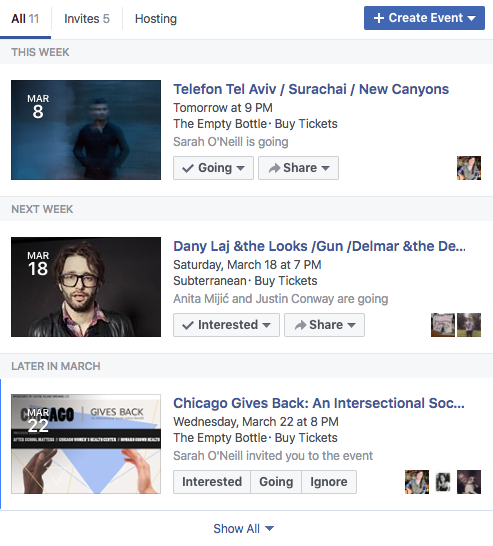 Creating the perfect Facebook Event doesn’t have to be a strenuous task. But for marketers using Facebook, the last thing you want is to have your page look sloppy or quickly made. That’s why we provide the best-in-class Facebook management tools to ensure your efforts don’t go unnoticed. Try us today for a free 30-day trial! Choose a Theme: Facebook provides a set of themes to use that range in topics such as birthdays, holidays, parties and more. These options replace the need for an event image, but there’s only so many preset illustrations to choose from. Upload a Photo: Facebook also allows you to upload your own personal image (following Facebook content guidelines). Here you can adjust the size of the image to fit your event dimensions. 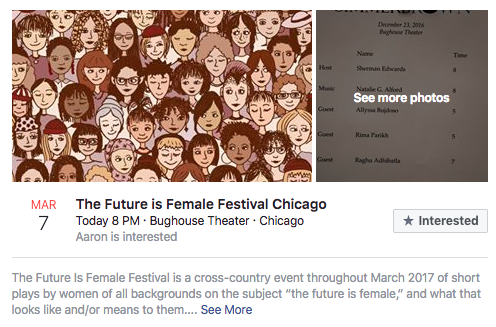 Facebook has made several changes to the event photo over the last few years. Now the event photo has three different locations, but they all still appear the best when following the 1920 x 1080 recommendation. Upcoming Events: Displayed as a thumbnail, you can see the Facebook event photo in your upcoming events. It’s wise to choose an image that looks good at full scale and as a thumbnail so users can recognize the event. Plain and simple, we remember images better than text. A study found people have the ability to recall more than 2,500 images with roughly 90% accuracy. However, information presented orally drops to 10% accuracy. That’s why it’s essential to choose an image that stands out. If you’re creating a recurring Facebook event, choose an image that can be slightly altered, kept the same or within the same theme across all your events. Users will begin to recognize and recall your events when it passes in their Newsfeed. Events are often suggested to users and pretty much anyone on Facebook has experienced an overwhelming amount of events. That’s why it’s important to have your image grab people’s attention and stand out among the rest. 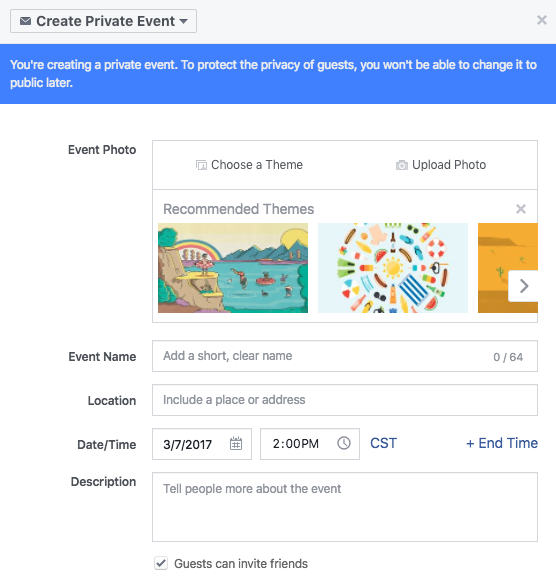 If you’re a business hosting an event and plan to send out Facebook invites, make sure your image is true to the occasion. Far too often, users are unsure about certain details that might come from a confusing image. For example, if you’re a restaurant hosting a cooking competition, you might want to avoid using an image only of food. This gives viewers the idea that you’re providing food or that they get to taste it. Instead, use images of cooks or a food judge panel, and list the specifics in the event details. It’s easy to get images mixed up, so make sure you choose relevant content. If done correctly, users will contact you with limited questions. Relevancy is key! Before you hit publish on your Facebook event, take a second look at your image to make sure it’s as professional looking as possible. Using an image straight from your iPhone shouldn’t be the extend of your editing. Instead, use free image editing tools like Canva to add logos, enhance photos or add hues. You can also try out Sprout Social’s free image resizing tool, Landscape. Easily fit the same or multiple images to the correct dimensions across all social networks. With a little effort, you can increase the quality of your image. Don’t be afraid to get a second opinion to ensure you’re submitting a respectable image. If you’re still stuck on the correct dimensions and sizes of other popular social network images, check out our always up-to-date social media image sizes guide!